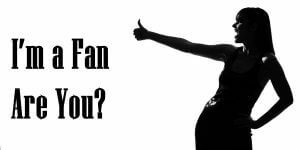 Im a Fan of Dee's Music Bar & Grill... Are you? Fill in the below form and you can recommend ‘Dee’s Music Bar & Grill’ to a friend or family member via a text message. 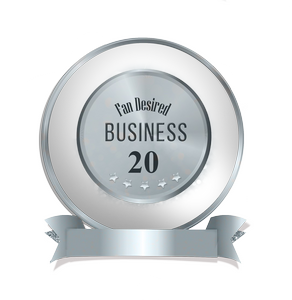 Show your support with a quick share of ‘Dee’s Music Bar & Grill’. I was visiting relatives and stopped by for a snack, wow, I was surprised at how fabulous the sliders were. Very juicy and flavorful, service was excellent and other customers were so friendly, definitely a neighborhood staple. Going back for fried pickles, try it, you won’t be disappointed! This venue has AMAZING food, great staff and ownership, they are consistently asking for feedback to improve (not that the need it 🙂 ). Their bike night started on a whim and has quickly become very popular and their live entertainment is off the chain great any night of the week. The owners have done an amazing job!! Dee got this one Right!! Great food, Great Staff and an awesome place to hang out for Live Music!! Dees has consistanly great music, welcoming atmosphere and staff that make you feel like you are at \”your place\”!!! And on top of all of that the food is off the hook! Big flavoraful wings, burgers falling over under all the beef and toppings and do t get me started on the natcho tater tots!!! Great food, awesome entertainment, cold beer and the most friendly staff in town. Even available for private parties that are taken care of with great attention to details! We have received excellent friendly service, the food is great, entertainment great. Dee’s is a great supporter of local bands and musicians. Dee\’s make you feel welcome. Food is great. The wait staff is very nice especially Natasha, she is an awesome bartender. Variety of music is entertaining. 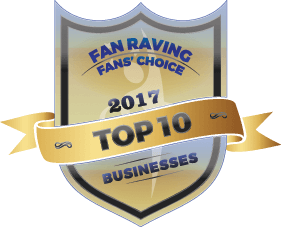 I’m a fan because of all the great customers and staff! I’m lucky to have such a great support team! 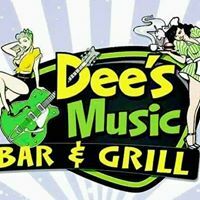 We love going to Dee’s Music Bar & Grill.Great food and service and Dee is so attentive to her customers and fans of the great bands that she has come in and entertain everyone. She never turns me down when I ask for a reserve table for me and my husband Ronnie and always greets us when we walk in the door.Just an over all great place to be. We recommend everyone come out and enjoy! We were coming thru and decided to stop and get something to eat and drink seen it looked friendly decided to stop and enjoyed it so much we ended up staying the night. Loved it so much will do it again when back down that way. Love Dee and her Staff.. Dee’s food is scrumptious! Haven’t found anything subpar! And you can’t deny the entertainment! Dee takes the time to insure great entertainment….she’s the best! Dee’s place is awesome! Great food, service and friendly staff! We love Dee’s! Highly recommend everyone to go and visit. Foods amazing so is the owner! Fantastic band choices!! Great location great food and wonderful service . Love the fact that they participate in fun raisers. We love going to Dee’s Music Bar & Grill!! I have actually played music there before, and it’s an excellent venue for live performance. And not to mention the great food that they have…yet another reason to enjoy Dee’s Music Bar & Grill. We personally know Dee as a friend, and she is a super sweet woman with a big heart!! Totally love this place! Had been there since Dee opened back in July. The food is excellent & the staff is friendly. The location is very convenient. There is always a great local band playing plus she offers a Thursday Bike Night. This is a favorite place to meet old friends & make new ones. We love going to Dees on Tuesday’s for their 50 cant wings and karaoke! Its a fun family night for all ages. Our girls love the video bowling and listening to everyone sing. The food is AMAZING here. Huge sauce covered wings and some appetizers that will blow your mind! Totchos changed my life a little. Lol. Also the bands they have on Friday and Saturday nights are always a great time when we get out without the kids. Great bartenders and servers that always greet you with a smile and serve some well poured drinks! Check it out. You won’t be disappointed! Great food, cold beer and an awesome place to catch live bands. Best food and entertainment in town. Very affordable family entertainment. Dee and her staff are the friendliest I have ever met! Best food, best music and best service in town! I love Dees because it’s nice and relaxing when you come through the door! Music. Lights! Good food. Great company ❤️ I just LOVE it there! This place is great. The food and atmosphere make this place a great place to be. They…are…AWESOME!!! Great food, great entertainment, great atmosphere and most of all DEE!! !